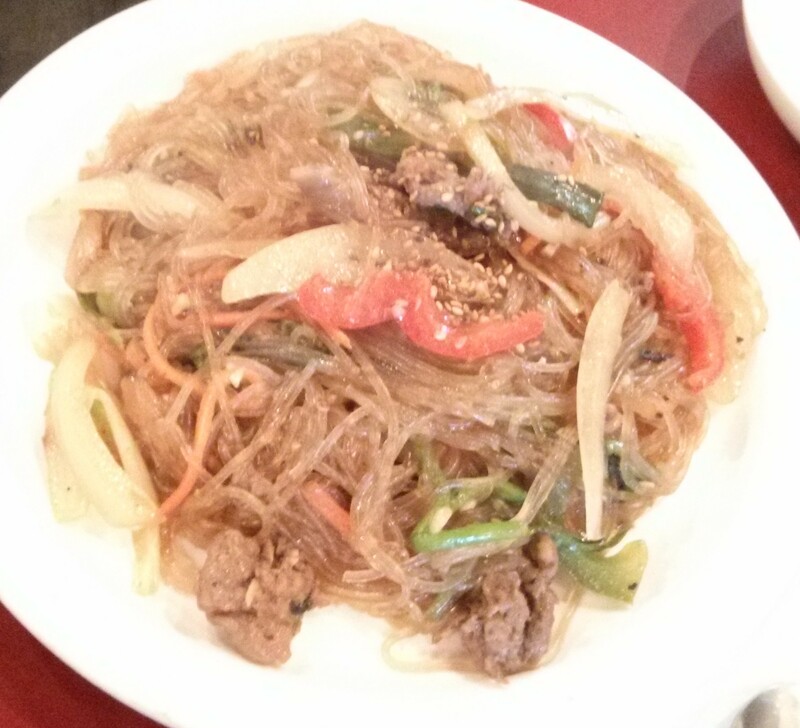 My friends and I had lunch at Niwatei afew weeks ago. 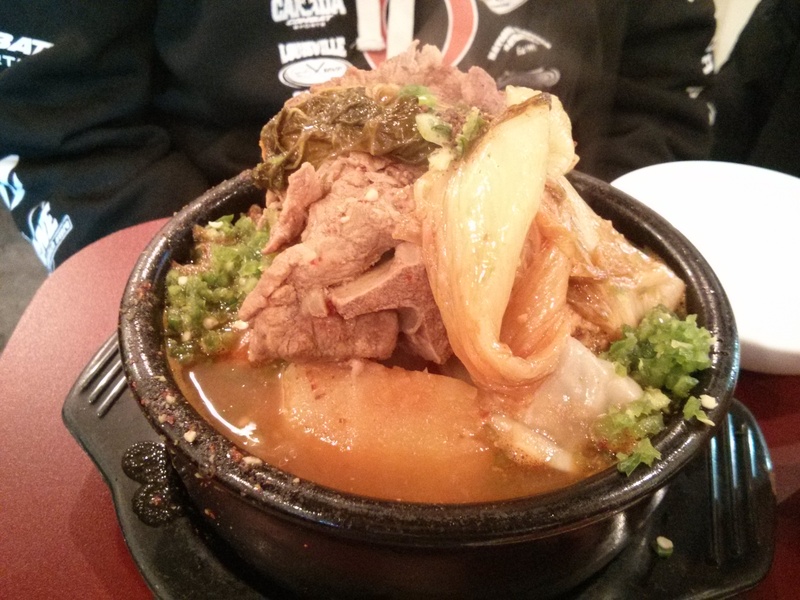 Niwatei is the ramen restaurant at J-town. It shares the same space as Green Tea Lounge and Silk Kitchenware. The owners of Green Tea Lounge and Niwatei are siblings. 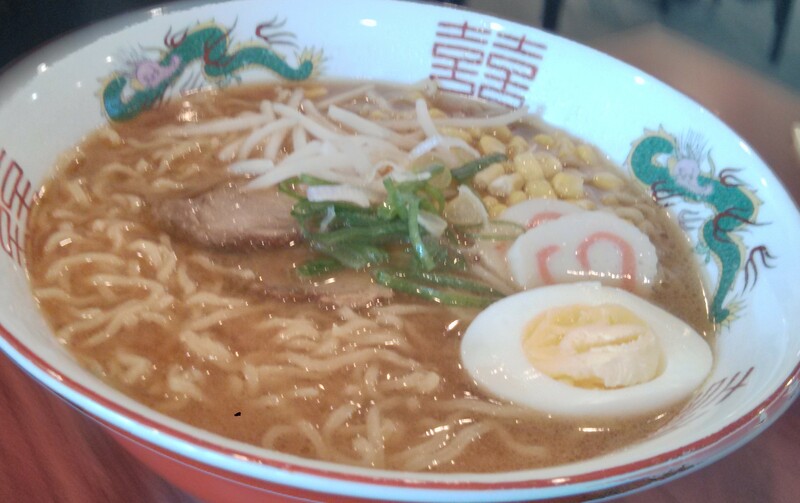 Two of my friends got the miso ramen ($7.80+tax & tip). Another friend got the tonkatsu ramen ($8.80+tax & tip). I got the miso tonkatsu ramen ($13.33+tip). 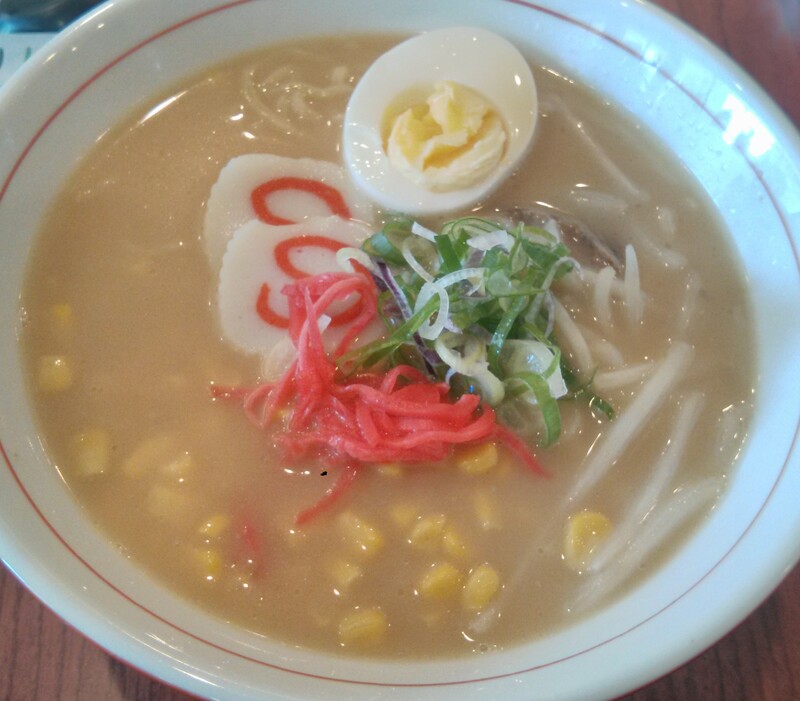 The miso ramen consists of corn, beansprouts, half of a boiled egg, kamaboko fish cake, BBQ pork and ramen noodles in miso based soup. The tonkatsu ramen consists of BBQ pork, kamaboko fish cake, half of a boiled egg and ramen noodles in a pork bone based soup. My friend added corn to it for an extra $0.50. 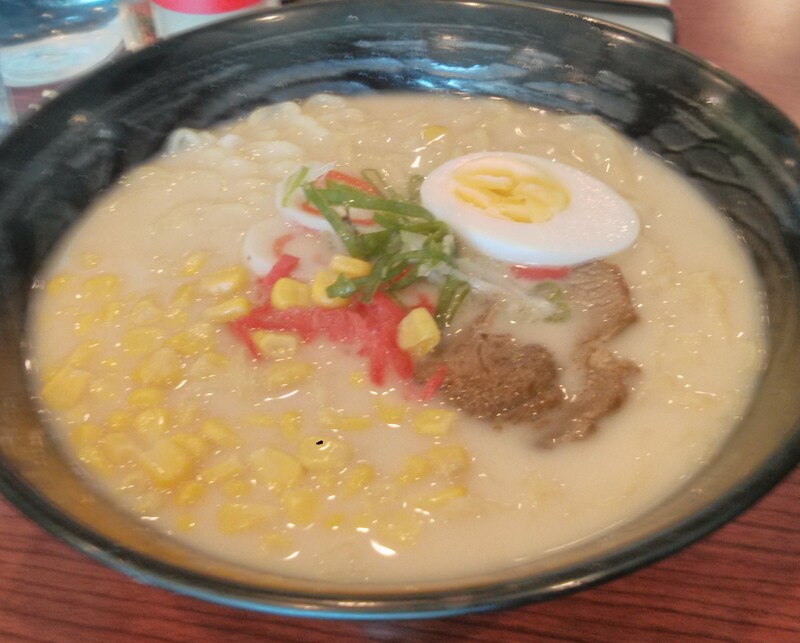 The miso tonkatsu ramen consists of BBQ pork, kamaboko fish cake, half of a boiled egg, bean sprouts, corn and ramen noodles in miso based soup. 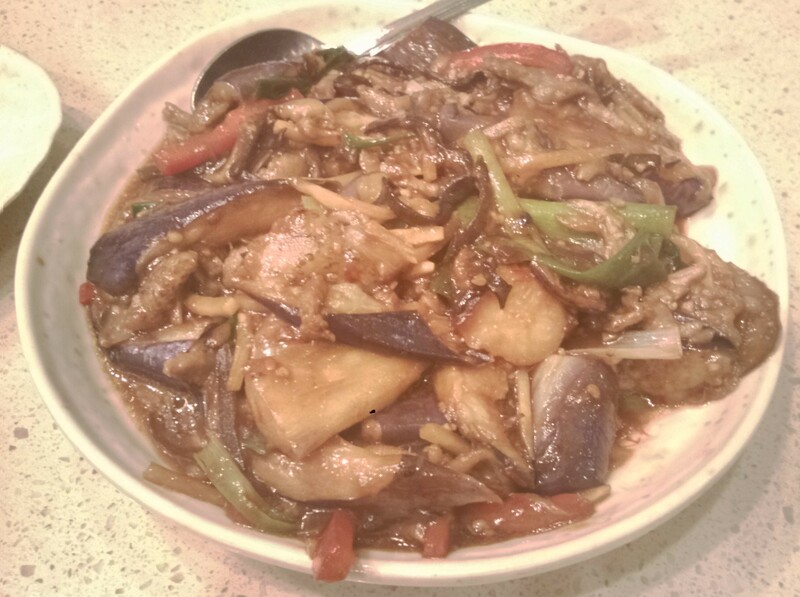 My friend and I decided to have dinner at Ding Tai Fung again last month. 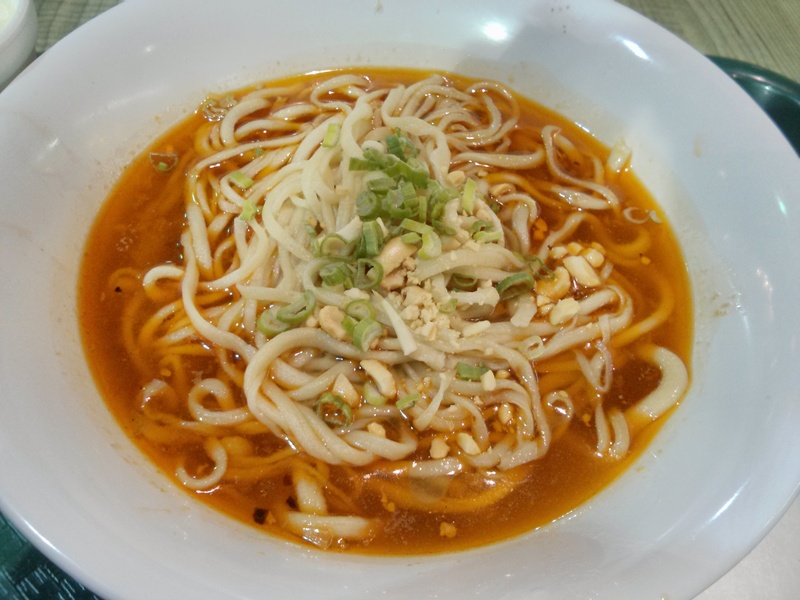 We ordered the requisite xiao long bao and wor tip along with the minced pork and vegetable wonton noodles, sesame dumplings in soup and souffle balls stuffed with sesame paste. 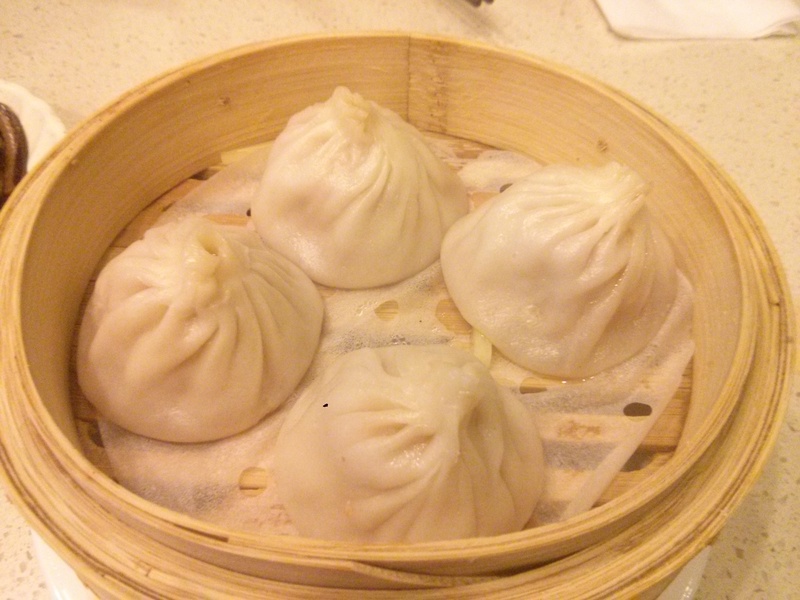 We got the steamed crab meat and pork xiao long bao ($7.99). 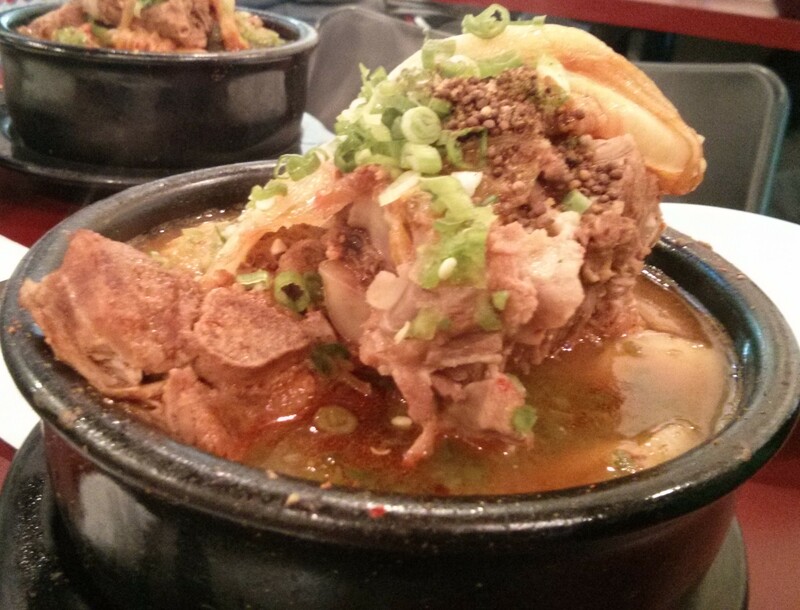 It was good however at times I couldn’t distinguish the crab meat from the pork. 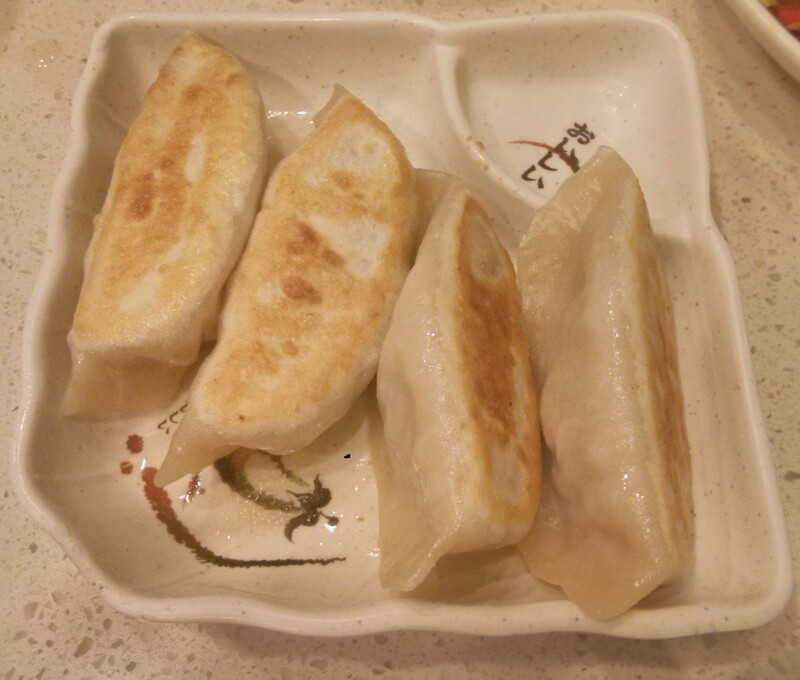 The wor tip or pan fried pork dumplings ($5.99) were just as good as last time. Ding Tai Fung definitely makes wor tip better than the xiao long bao. 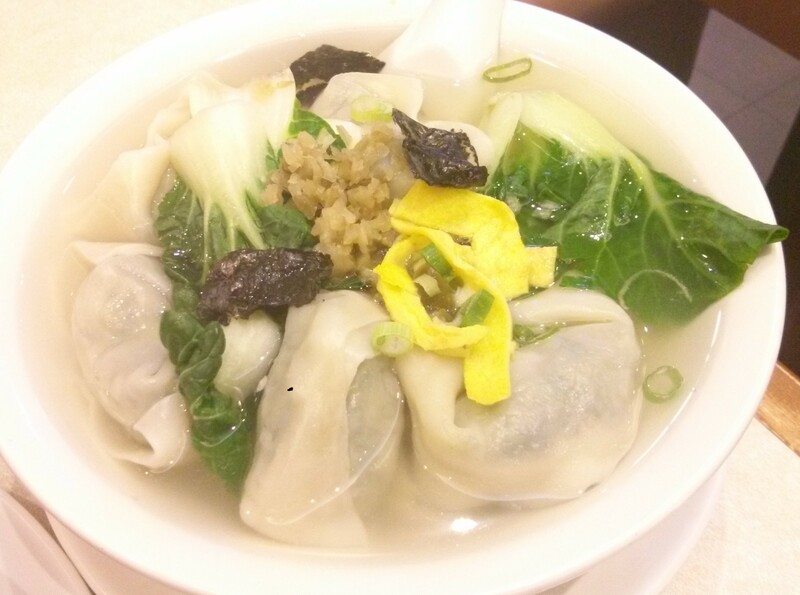 The minced pork and vegetable wonton noodles ($7.99) was ok. It’s comprised of wontons, bok choi, black fungus, some minced pork, noodles in soup with abit of green onions and omelette strips. 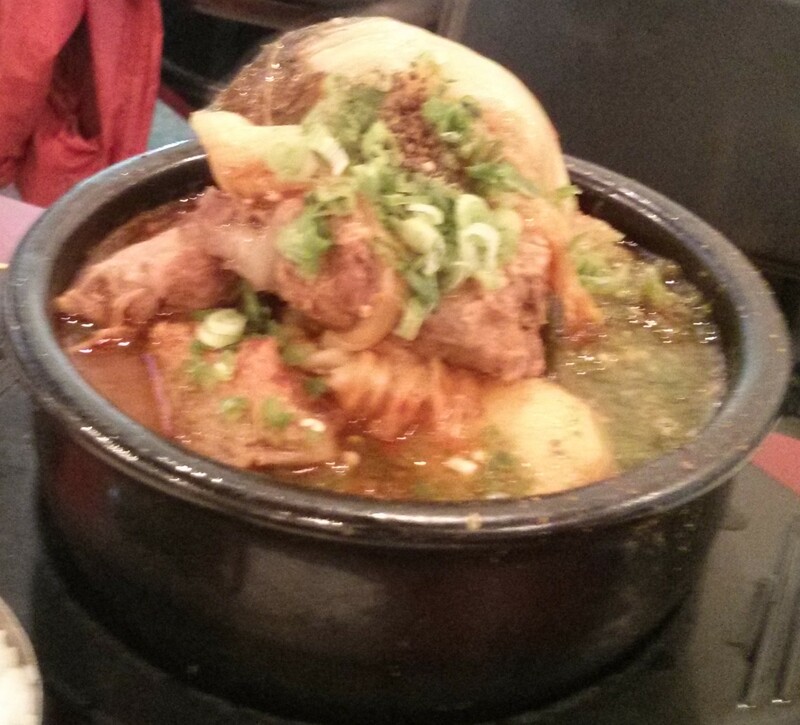 The sesame dumplings in soup ($5.99) was quite delicious. 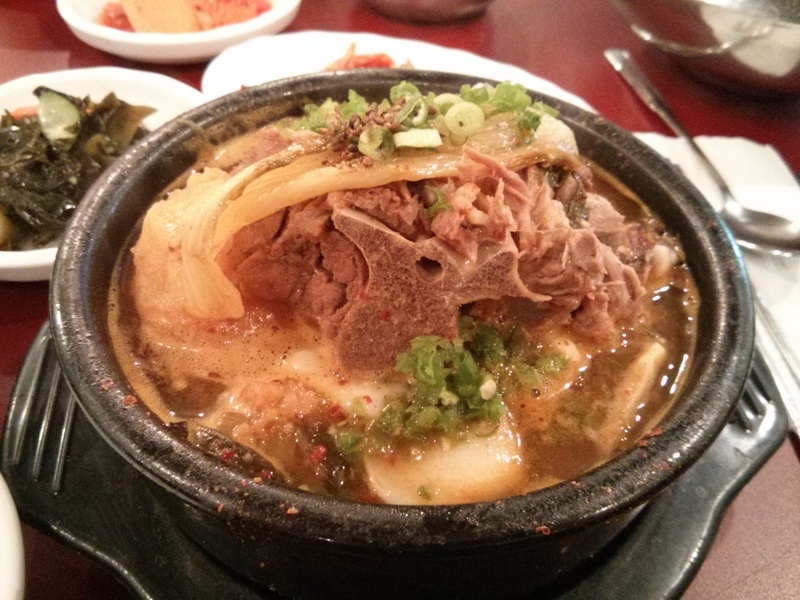 The sweet soup was very nice while the black sesame dumplings (tong yeun) were a nice compliment to it. 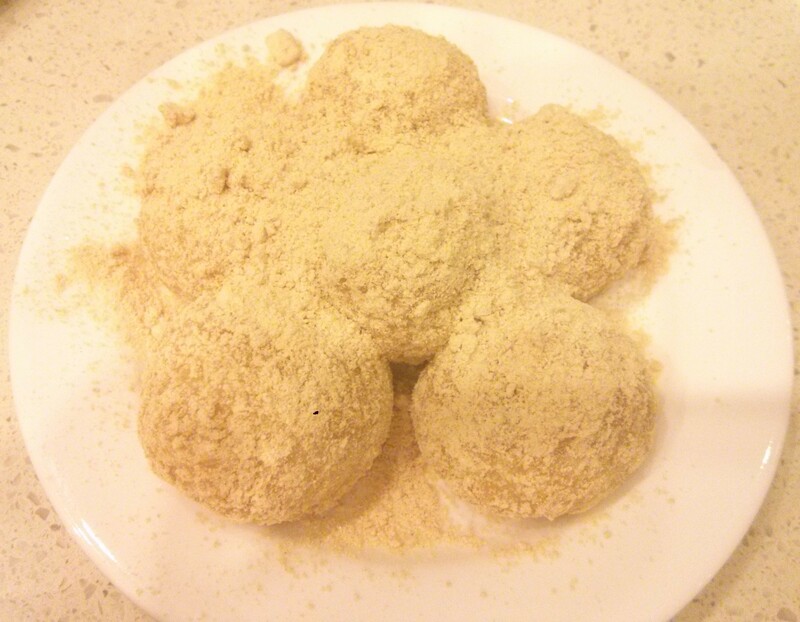 The souffle balls stuffed with black sesame paste ($7.49) are good but I think I prefer the souffle balls stuffed with red bean paste more. 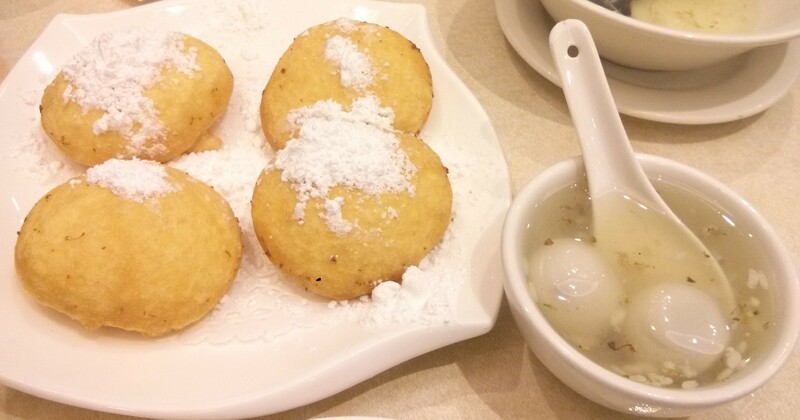 Overall, if you don’t mind the wait and you don’t want to walk over to A La Kitchen, I recommend ordering the Shanghainese dim sum and the desserts rather than the main dishes. My university friends and I had lunch here at the end of August. 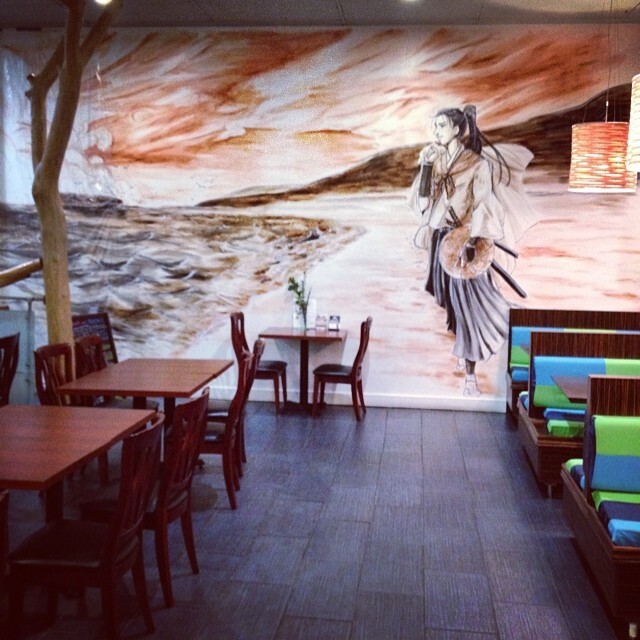 The decor is quite rustic making it a casual atmosphere while the mural is a really nice artwork. Since there were 5 of us, we got to sit at a booth table along the windows. 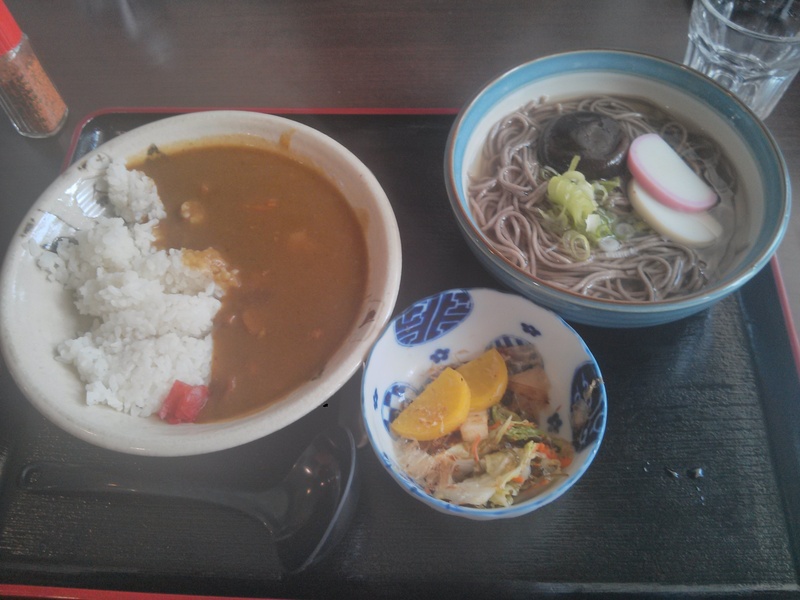 I ordered the soba and curry ($12.2 with tax). It’s a special and very good for indecisive people since you get to try two of their three main entrees. The curry dish is just curry with rice. It doesn’t come with a salad or with any meat. The soba doesn’t come with an inari side either and it’s a hot soba rather than a cold soba. Inari is sushi rice stuffed in a deep fried tofu skin. 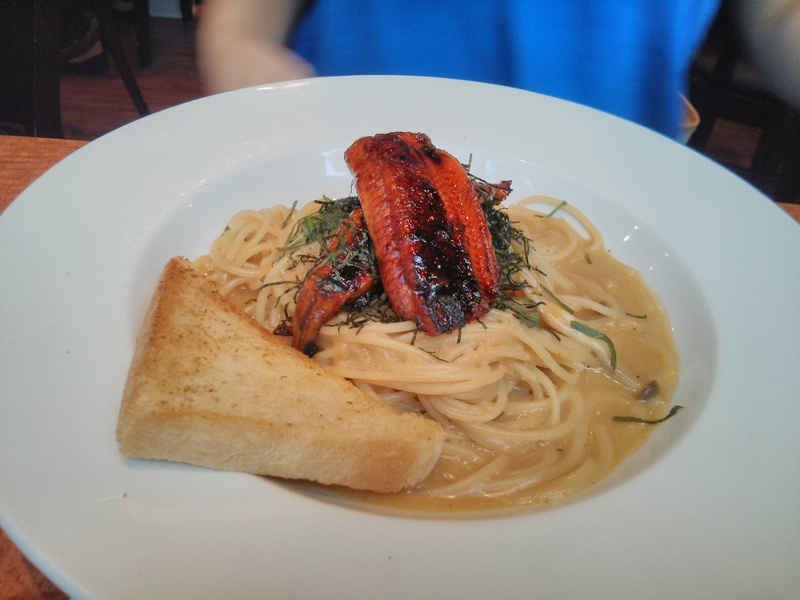 Both dishes were quite good. 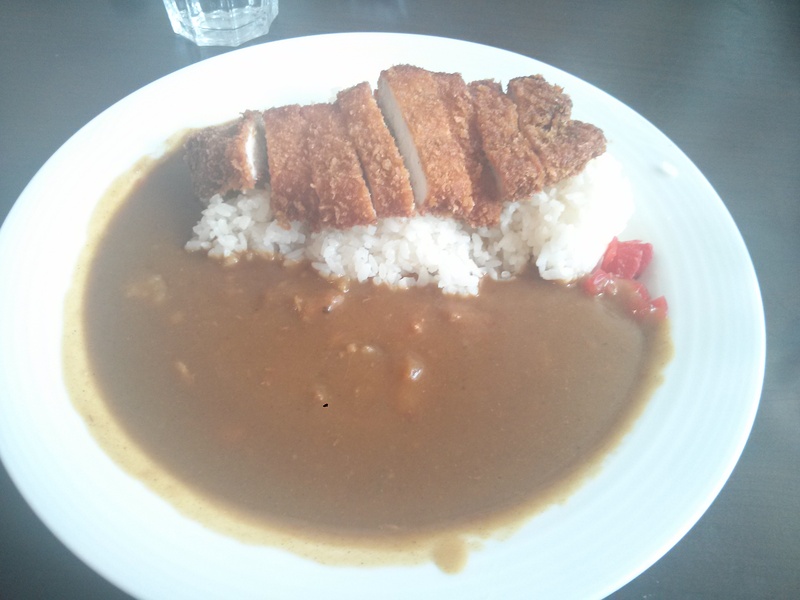 Two of my friends had the curry with tonkatsu. 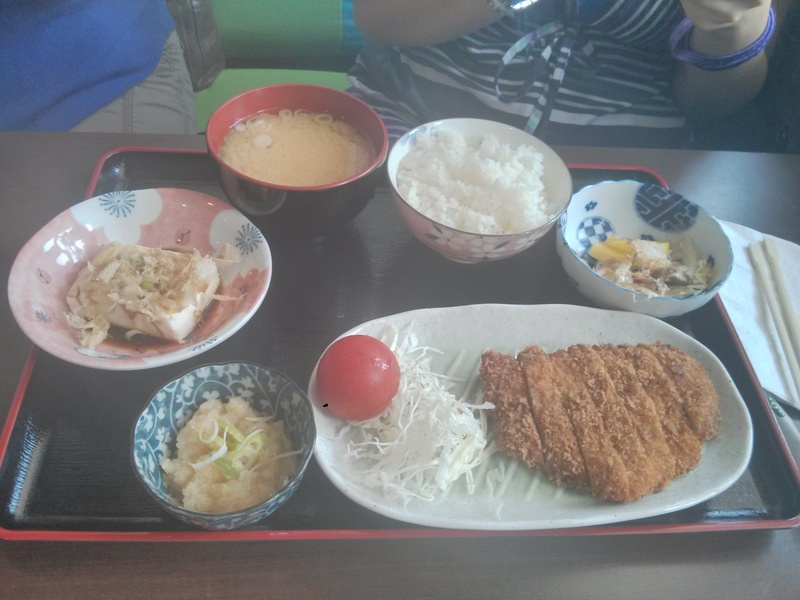 Tonkatsu is breaded, deep fried pork cutlet. 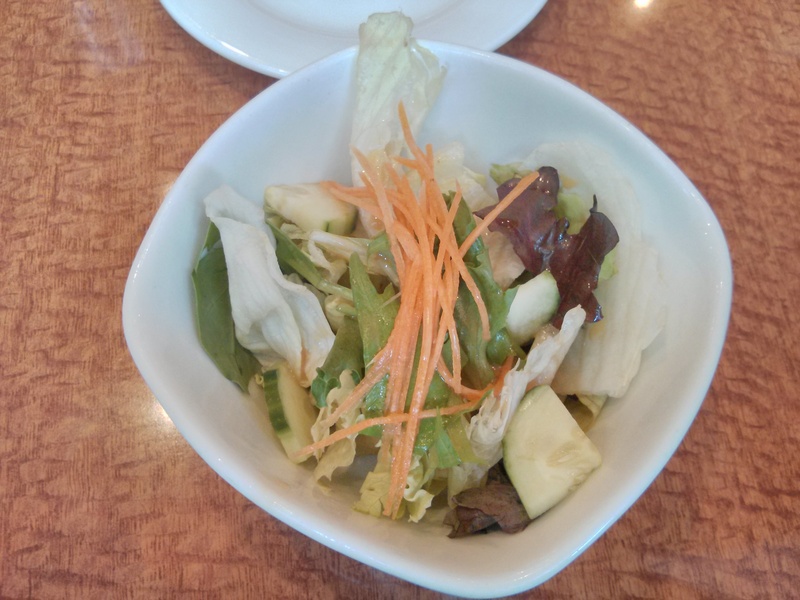 The curry also includes a salad. 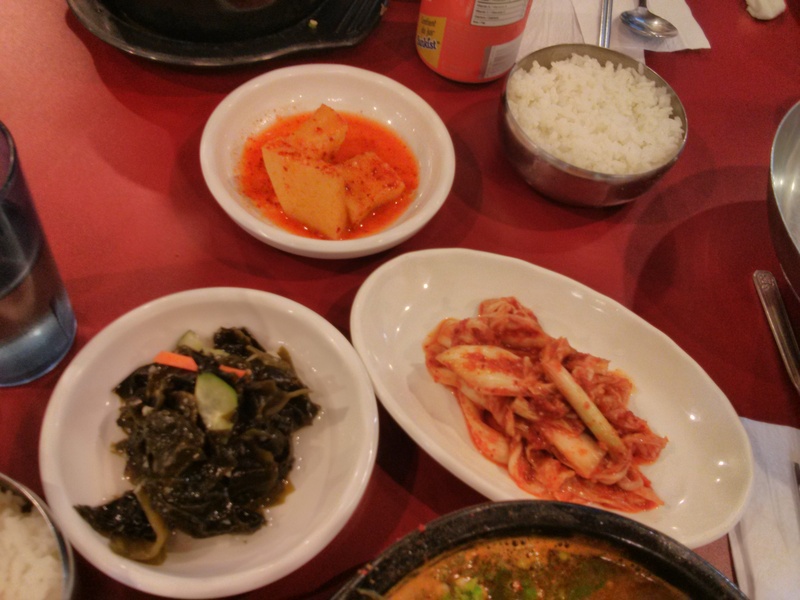 The curry is a bit spicy however I didn’t think it was spicy much while my friends thought that it was abit spicy. 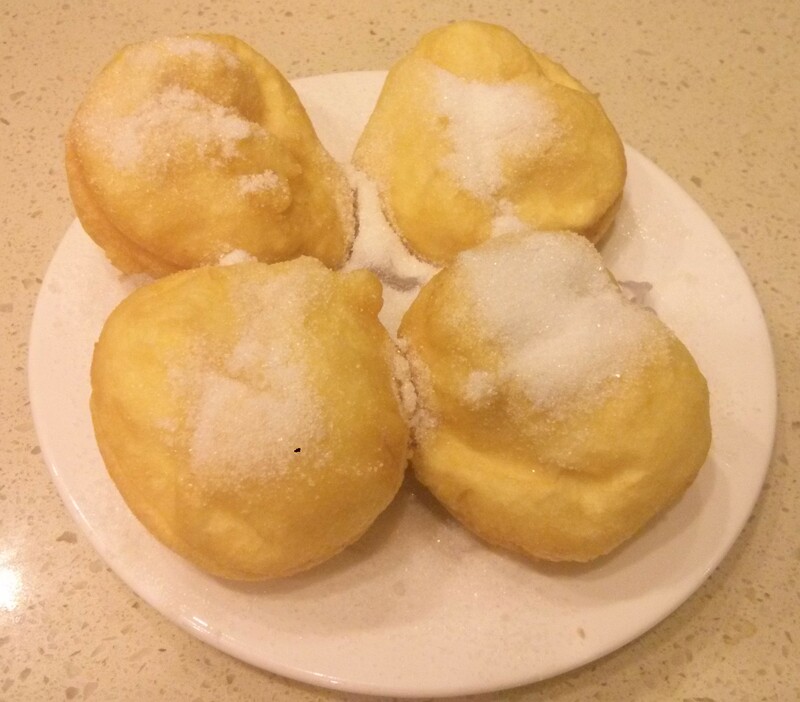 Another friend had udon with an inari side while a fourth friend had one of the specials. 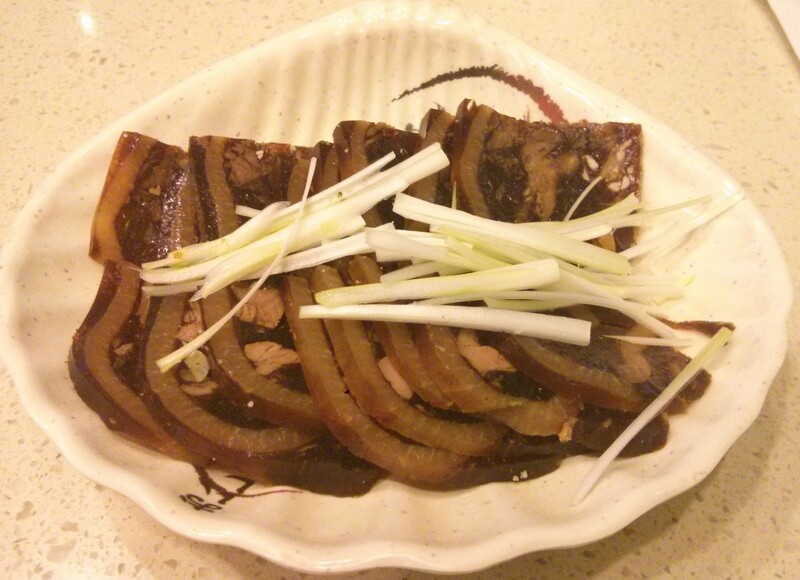 The special includes tonkatsu, miso soup and agedashi tofu. 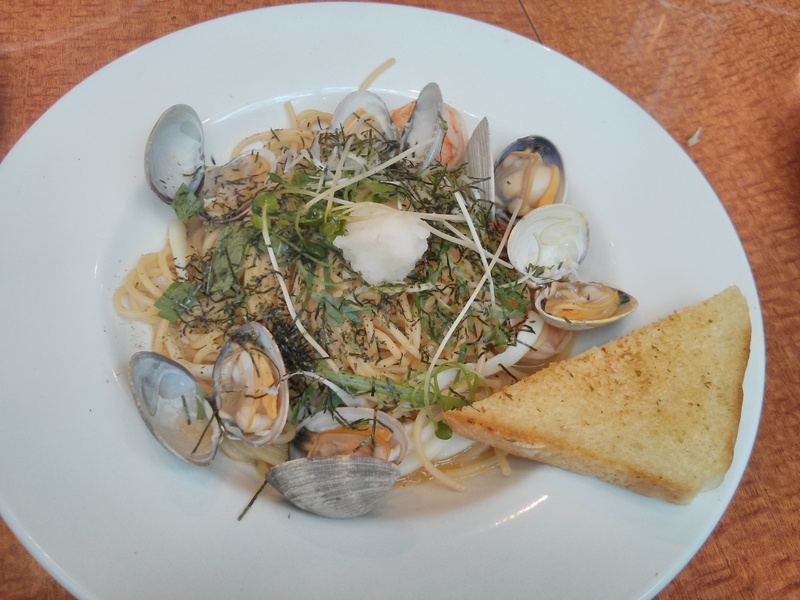 If you’re looking for a variety of Japanese foods rather than a specific type (ramen, izakaya or Japanese-Italian) in J-town then you should try this restaurant. My friends and I celebrated a double birthday celebration last Sunday at Milestone’s. They have a coupon for the birthday person in which their entree is free if 3 entrees are purchased. When my friends and I arrived for our 6:30pm reservations, we were told that Milestone’s was sold out of prime rib. Apparently you could reserve prime rib when you make your reservations if you know for sure that you’ll be ordering prime rib the day of. 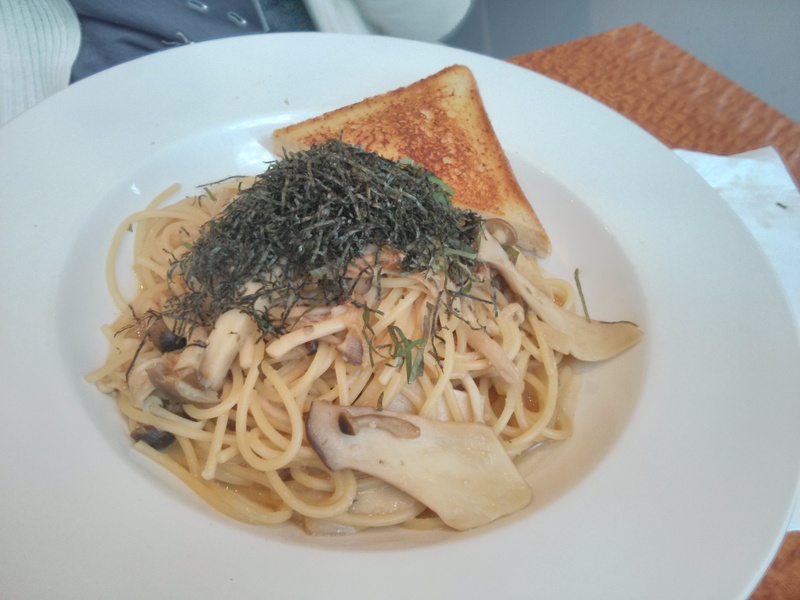 So most of my friends decided to order pasta. Two of my friends got the chili crusted tilapia ($22) while another two had the classic mojito ($8.49). I had the Ultimate Bellini ($8.99) and Beef Tenderloin. I also shared the ahi tuna tacos ($15) with another friend who also got the Original Bellini ($6.99). 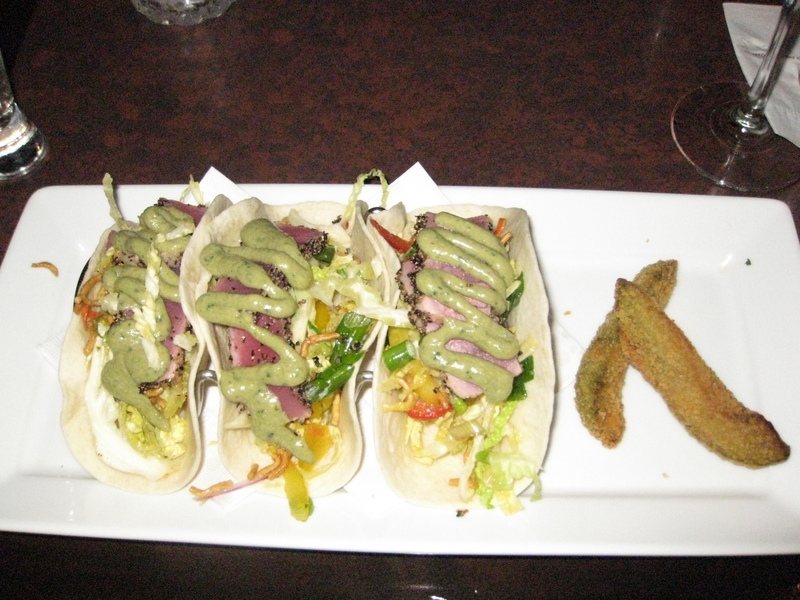 The Ahi Tuna Tacos are seared pepper crusted ahi tuna with cilantro lime slaw and avacado cream in a soft shell tortilla with deep fried avacado on the side. I would prefer a thicker slice of ahi tuna however on the whole the taco was quite good. The deep fried avacado was interesting. The Beef Tenderloin was on the seasonal menu. 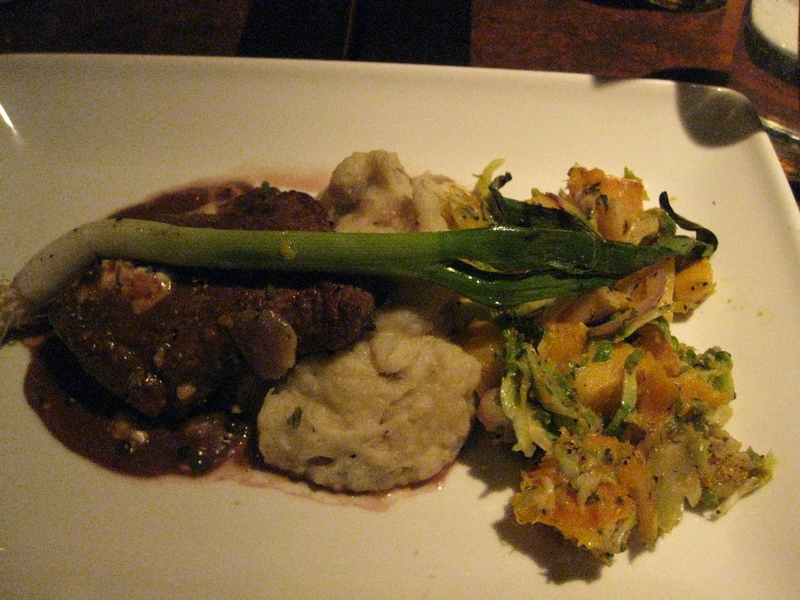 It’s beef tenderloin with garlic infused mashed potatoes and cabbage and squash on the side with a stalk of green onion. It was quite tasty. The Ultimate Bellini is a frozen blend of white rum, peach liqueur, sparkling white wine, sangria and a shot of strawberry flavoured vodka. 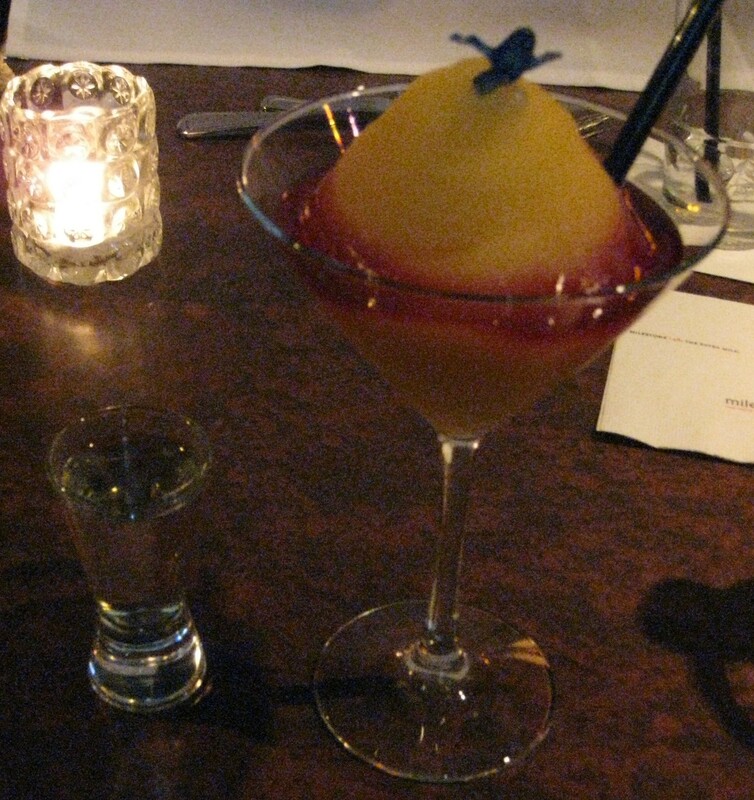 The shot of vodka was separate because another friend had ordered the original Bellini (it’s the Ultimate Bellini without the vodka shot) and the bartender got confused and made 2 original Bellinis. The Bellini was nice. 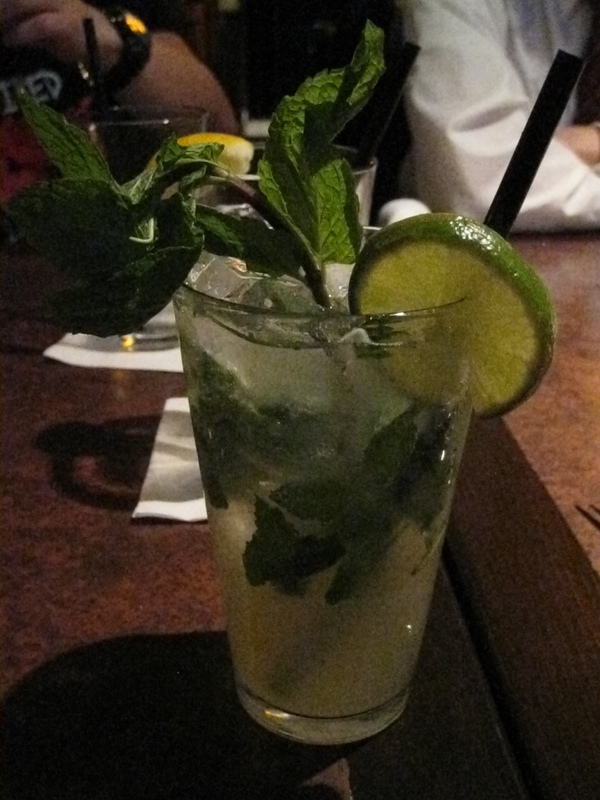 The classic mojito is rum, lime juice, mint, cane syrup and soda. One of my two friends who had it thought it was refreshing. It was his first time trying a mojito. 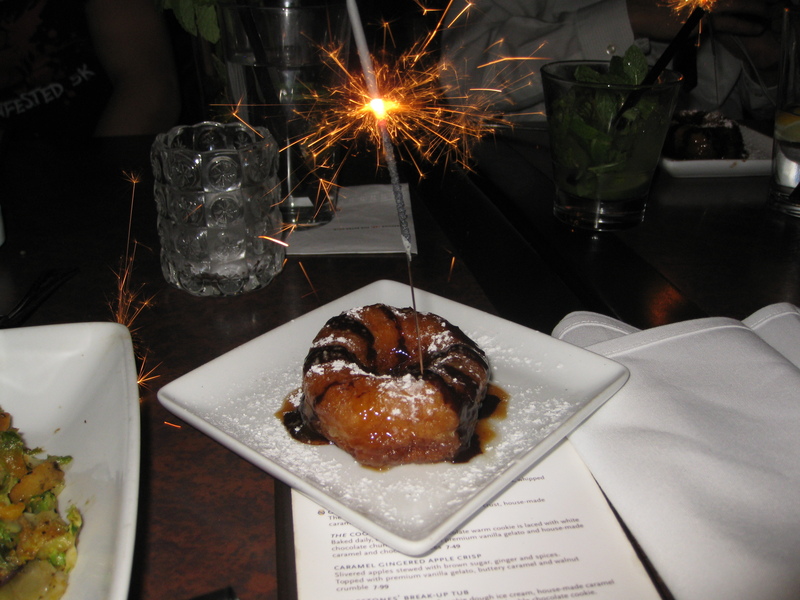 The birthday boy&girl also get a donut covered with chocolate sauce and icing sugar with a snazzy candle on it. It looks better than it tastes. I recommend Milestone’s for birthdays (nice treat for the birthday boy/girl) or the Monday Girls’ Night Out special. 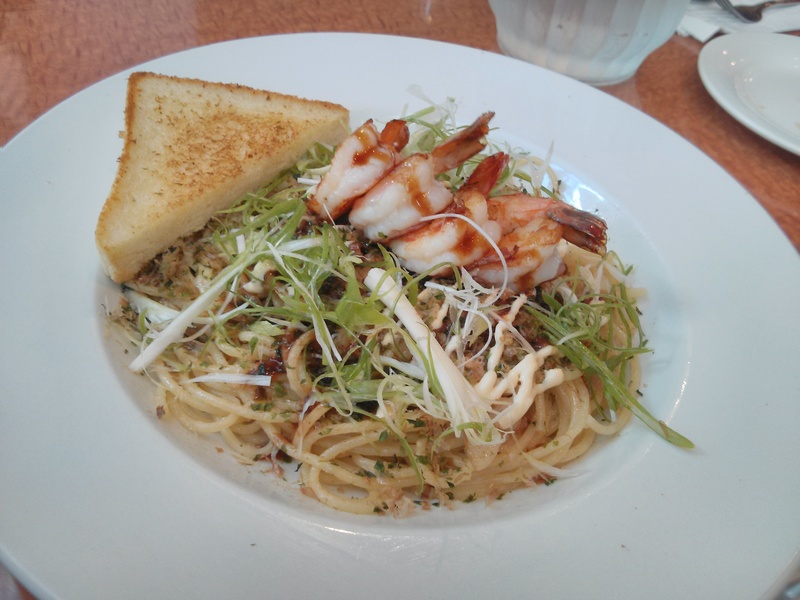 Originally my friends and I were going to eat dinner at Kazkav on a Saturday night however we were told that the restaurant was at full capacity so we went to Joey’s at Yorkdale instead. One friend had the bacon cheddar burger ($17.52 including tax) and a sushi cone ($4) while another friend had the Panang prawn curry bowl ($17.75) and a sushi cone. A friend had butter chicken ($20.06 including tax) while another friend had the ahi tuna club ($19.21 including tax). I had the lobster grilled cheese sandwich with yam fries ($18.5), a sushi cone and a dessert called happy ending ($4.5). Sushi cone is a reconstructed hand roll. 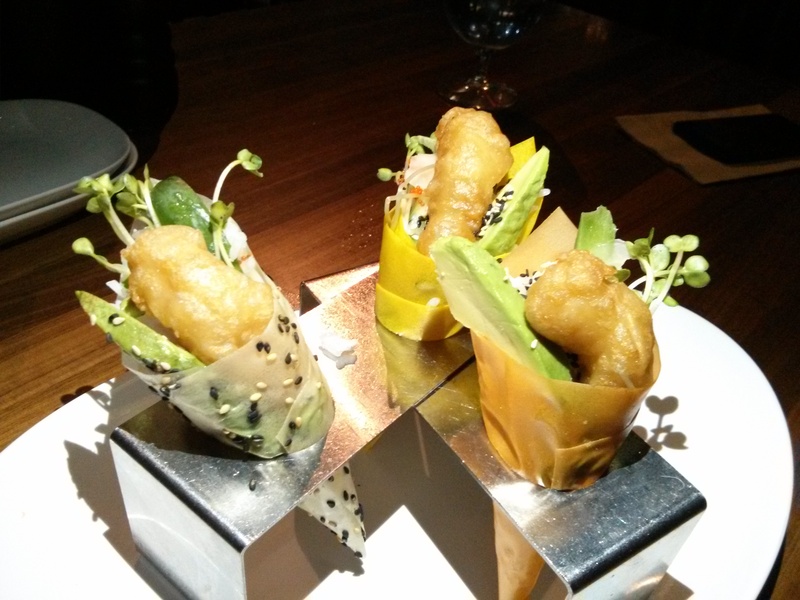 It’s a tempura prawn cone with avocado, spicy mayo, tobiko, ginger and wasabi. It’s alright for a hand roll although I didn’t like how the wasabi and ginger were grouped together so one bite would be mostly ginger and another bite would be mostly wasabi and the third bite would be no ginger or wasabi. 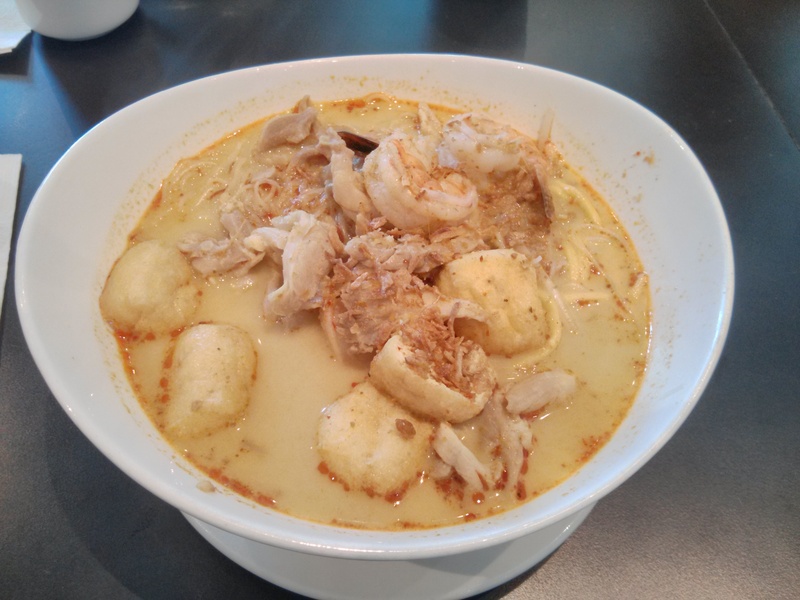 The Panang prawn curry bowl is stir-fried vegetables, red coconut curry, Thai basil, peanuts with rice. 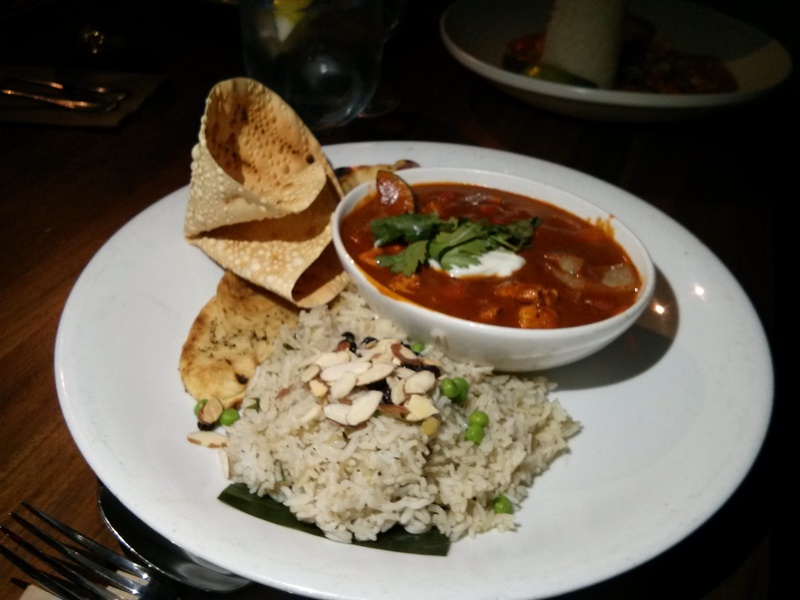 The Bombay butter chicken comes with almond basmati rice and grilled naan. My friends enjoyed their dishes. 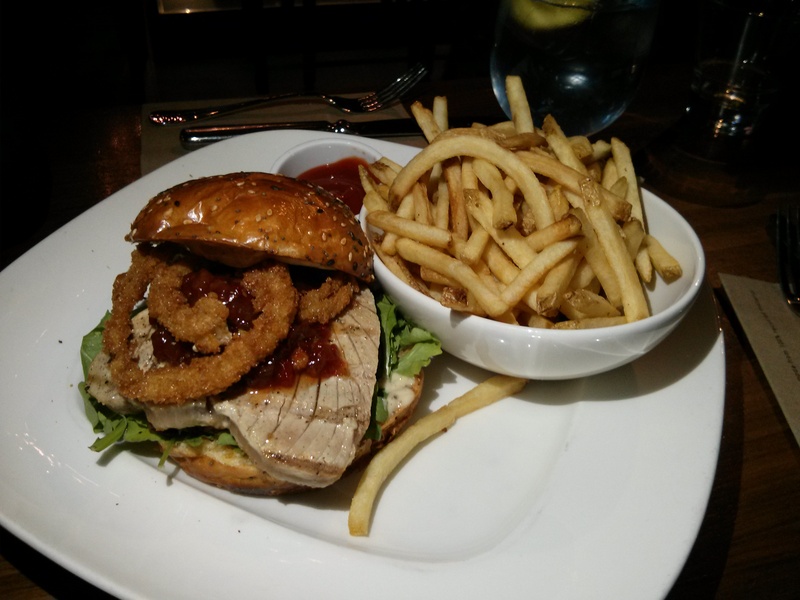 The ahi tuna club is grilled rare tuna, bacon, sweet pepper relish, arugula, and panko onion rings in a bun. 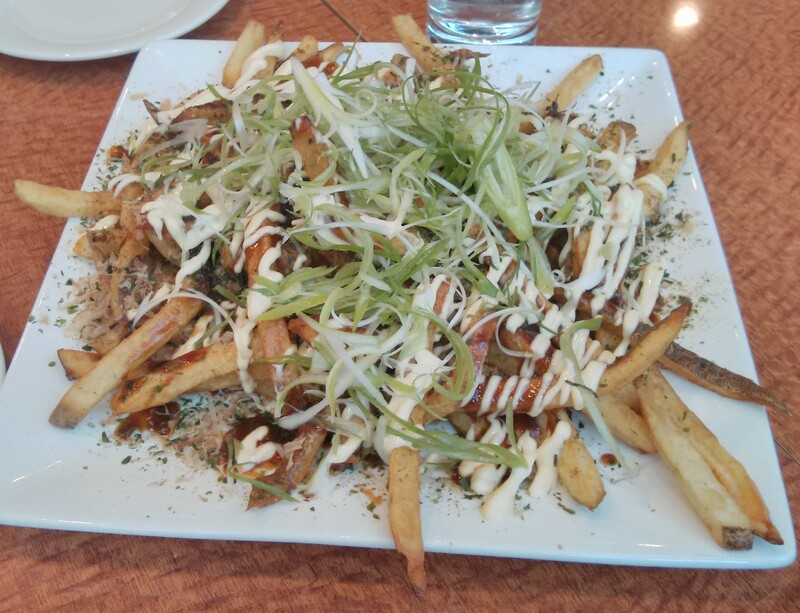 It comes with a side of fries. My friend enjoyed it. The lobster grilled cheese sandwich is atlantic lobster, brie & cheddar cheese, and cocktail sauce. 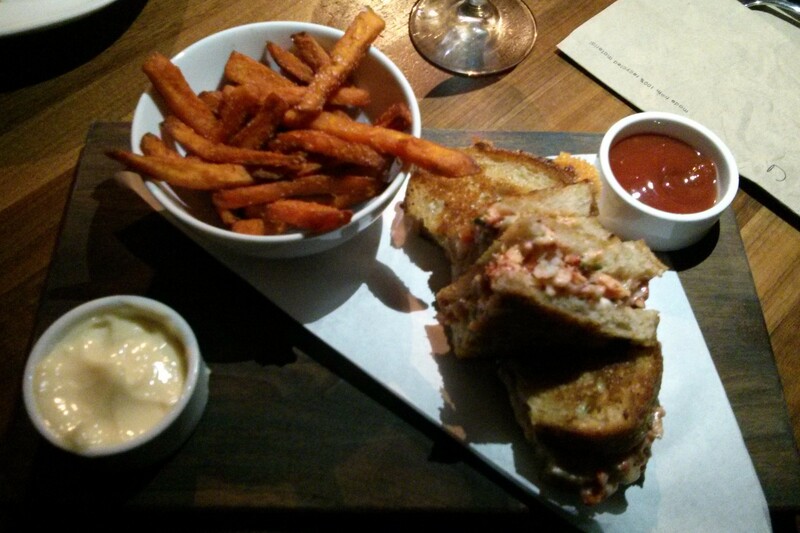 The lobster grilled cheese sandwich was good while the yam fries were abit too salty for my tastes. 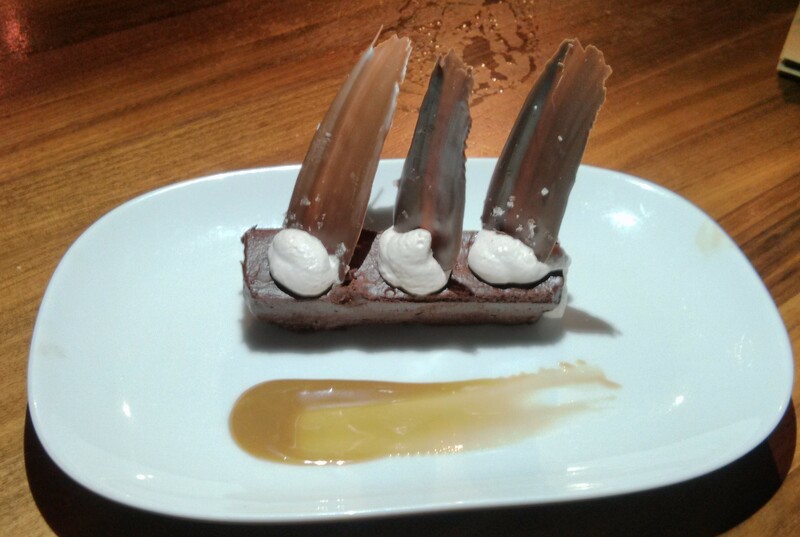 The happy ending dessert is 70% dark chocolate, dulce de leche and maldon salt. The dessert wasn’t as good as I thought it would be considering that it’s dark chocolare and dulce de leche combination. Overall, Joey’s doesn’t live up to its hype.